Creating our seasonal cocktail list is a lot like science. We do plenty of research on ingredients, there’s taste testing, a bit of trial and error, but in the end, our cocktails have a wonderful balance and use unique components. Spring is an exciting time at ZINC New Haven. The list of ingredients that we are able to bring into the restaurant starts to grow. New, fresh flavors take over our palates; grapefruit, blood orange, kumquat, citrus, the tastes of spring! Our cocktail list this season is inspired and creative. A twist on a margarita, the Smoke and Mirrors uses Mezcal, a smoky, agave-based liquor, instead of traditional tequila. A little Giffard Pamplemousse gives a powerful grapefruit taste that is complimented with a little lime. The citrus flavors are cut with a little spice from muddled jalapenos. This drink is served over a large ice cube and a garnish of jalapeño. Our Dancing Doll uses a favorite ingredient of ours, Avua Cachaca. Cachaca is a liquor that dates back almost 500 years in Brazil. A liquor made of sugarcane, it’s a great base for cocktails. If you like rum, you’ll love cachaca. Our house made Yuzu puree compliments this liquor perfectly and creates the perfect, fruity cocktail for a warm spring evening. It will get you ready for summer! If you’re looking for a cocktail with a little more complexity, The Opportunist is where it’s at. 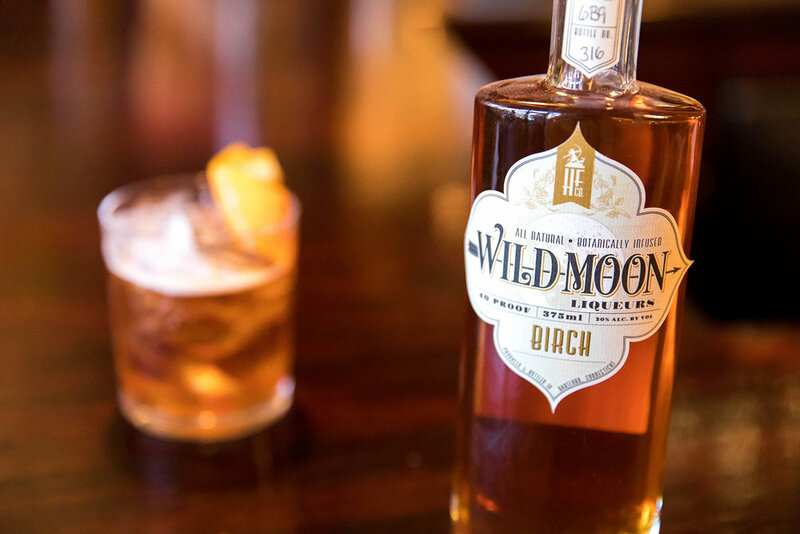 Wild Moon Liquor is another favorite ingredient at ZINC. The Hartford-based company creates some amazing liquors that can be used instead of purees or syrups. The flavors are intense and in this cocktail, we use their Birch flavor. Cognac and Orange Blossom Water just blend together so perfectly and create an amazing array of flavors that coat your tongue and leave you wanting more. We could go on and on about these amazing cocktails, but we think you should come try them for yourself!